2012 has been an incredible year for music with so many great albums coming out that it's probably going to take us another two years to catch up. 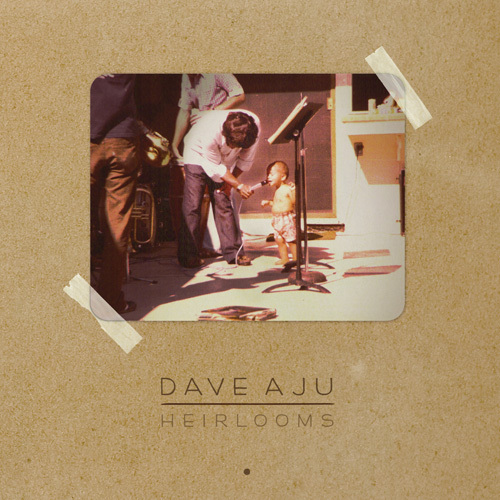 Yet another example of an album that was overlooked earlier this year by us is Dave Aju's Heirlooms. Dave Aju is the alias of San Francisco-based producer Marc Barrite who makes some very lively dance music. Back in July, Barrite released his great sophomore album, Heirlooms, on Nicholas Jaar's label Circus Company. Heirlooms has an interesting back story which is totally unnecessary to enjoy the album, but still worth noting. For a couple of years leading up to Heirlooms, Barrite had been planning on doing a collaborative album with his father, Joe, who was a jazz trumpeter who played with groups in San Fran for decades. But, before the two got around to recording, Joe Barrite passed away. So, to make up for the collaboration that was never able to happen while his father was alive, Marc sifted through all of his dad's recordings and used them as samples for Heirlooms. The result is a jazzy, experimental dance album full of awesome grooves and the fun, quirky vocals of Dave Aju, which range from saying nonsensical rhymes to some funny and poignant social commentary. This is a very off-kilter, but powerful album that fits alongside the many other great albums of 2012. Check out the album preview below which contains three minute clips of each song. A lot of the full songs can be found on YouTube.